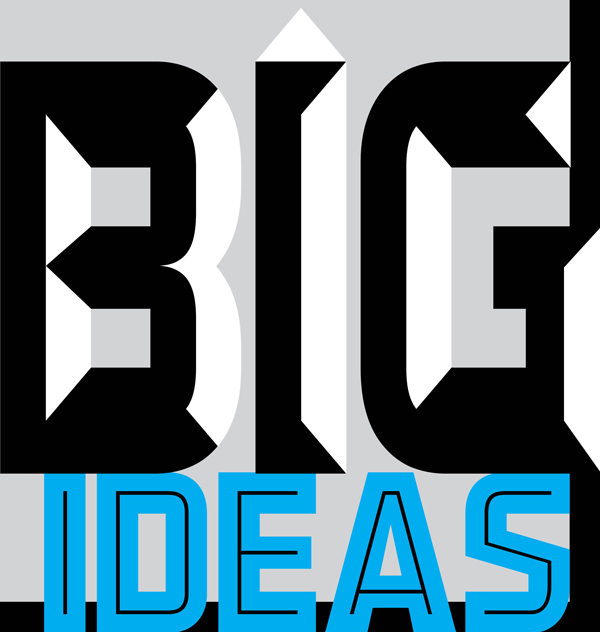 The most exciting ideas from the great minds behind our Big Ideas special. We covered a lot of ground in our November cover story, “Big Ideas.” We asked the scientists, researchers, teacher, and entrepreneurs from that story to answer two questions for us. What was the most exciting idea in their field or the city? And what was the most pressing need they saw? Their answers are included here. What’s the most pressing need in either your field or the city? Honestly, truancy. We’re losing our students to the streets. That’s the depressing part. You can’t teach students if they aren’t at school. That’s what inspired the incentive project [where Dohn students are paid for their attendance]. We got up to an 80 percent attendance rate, and that’s great for us. If we keep that, we’ll be OK. But the hard part is parents are enabling students to stay home. Maybe they’re taking care of younger brothers and sisters, maybe that’s more important than coming to school. It takes a lot of people to actually see what the problem is before you can fix it. It’s spiraling out of control. We need to bring back truancy officers who can just swoop those kids up. If you ride down East McMillan, half the kids are outside. If there’s a truancy officer, he can at least pick them up, take them off the street, give them a consequence. They only move when there’s a consequence. It’s like, you aren’t going to pay the Duke bill until you get that notice that they’re going to shut off the power. One of the most important things they could do would be to simplify the routes. They take a lot of deviations and alternate courses that sometimes depend on the time of day. They make local sense—a certain street may be busy at rush hour so the bus takes a different course—but those little convolutions make it really hard to understand the transit system. We’ve got to do more on the front end, getting people the education they need. Supportive and clearly outlined regulations involving urban farming, farmers markets, and commercial kitchens. Community involvement. Make a commitment to coming in and supporting teachers and students with your time. Taft Law Firm and GE have been great about making a commitment to coming into schools and consistently honoring that. It makes a huge difference. Innovation comes from change and evolution. Many people in business are resistant to change. Whether in Cincinnati or elsewhere, people need to be better at embracing change and rewarding risk. Innovation occurs through failure. It takes people willing to take risks. Every city should think about embracing risk and failure. Cincinnati is doing this in the form of the Chamber of Commerce’s Cincinnati Innovation Awards, as well as through tax credits for companies that move into the city. We need to see more of that. We need to continue to make long-term investments in the things that are right, that are innovative, and that are about ensuring equal opportunities for everyone—not just the things that are cost-cutting, or immediate, or good for a few. And I think design, with its obsession for understanding end-users and their needs, has an important role to play in setting Cincinnati apart as a city that walks to its own successful beat, cares for all its citizens, and, at the end of the day knows how to throw a helluva good party. Children and youth at risk. Virtually every social issue and need can be addressed by focusing on assisting this segment of our community. In supporting children and youth at these key junctures, a variety of other social issues can be addressed and improved. Getting the public to understand the need for STEM [science, technology, engineering, and mathematics] education. It’s where our kids’ futures lie. Eighty percent of jobs in the future are going to rely on at least one of the STEM skills so parents need to be aware, educators need to be trained, and corporations need to step up. We’ve got unemployment problems, but the reason we have those is that we have not concentrated on filling the pipeline. We need to get kids early and engage them in the educational programs that will encourage them to pursue careers in STEM. There are 3 million jobs open in this country and 3,300 engineering jobs in the region that we can’t fill because people don’t have the skills. Economically competitive regions have a compelling story to share. In our region we have a phenomenal story, but often times we are less than cohesive and consistent with our messaging. Messaging is incredibly important as we compete with regions from across the country for jobs and talent. I am not talking about a tag line or an ad campaign. I am talking about a platform that conveys what we have to offer in this region and why people should live here, work here, and grow their business here. We need to share our significant assets in a compelling way. The girls currently fundraise on their own, and Zawadi is looking to set up a separate donor pool to raise funding for these auxiliary programs run by our alumni. From our years of leadership development, we have excellent program content, and of course could not have more qualified teachers to convey this message of hope than the Zawadi girls themselves, who are living proof that there is hope for young women who choose to stay in school. We have received a small grant from the U.S. State Department, but with the right support, we clearly have an opportunity to do more. The human brain develops most rapidly in its first few years, but public spending on children doesn’t pick up until they reach kindergarten. The most pressing need is to convince the community to bend that investment curve so we invest in children when they’re developing at the fastest rate. It’s more than convincing lawmakers, although that’s important, and it’s more than just changing the way local philanthropic leaders invest their money. This is arguably the most pressing social-justice issue of our time. The thing that’s missing—a big piece of the puzzle—is technology accessibility. Collecting all the public [property] information that’s out there and putting it into one place—that could go a long way. We would spend a lot less time tracking information down, doing it one property at a time. And it would empower the public to know what’s going on in their neighborhoods. We’re working with CAGIS [Cincinnati Area Geographical Information System] and with LISC [Local Initiatives Support Corporation], and we’re trying to progress. I’m optimistic. I live in Avondale, and I would like to see more education opportunities for these kids that are running around, little 5- or 8-year-olds with nobody watching them. I would like to see more of a police presence. We need to get back in the city. We have too many suburbs. I’d like to see some talk about regional government. We have an extremely broken-up governmental structure; we end up competing against each other. [But] I’m excited to see transportation activists, whether it’s people who are working on the streetcar or in city bike, coming together and forming a community. I’d like to see Cincinnati eliminate density caps. Getting rid of stricter zoning requirements would allow people to re-habitate the city in new, exciting ways. Schools. We need to figure out a way to get kids focused on education. At the zoo, we do all kinds of school programs with Cincinnati Pubic Schools. The Cincinnati Zoo Academy has been around for 30 years. Juniors and seniors come to the zoo and take classes and work with the keeper and get a feel for working with exotic animals. It’s a really cool program and it’s unique. No other zoo has it. What’s the most exciting idea in either your field or the city? One of the most exciting ideas in our field is that the government and the faith-based communities have mobilized toward this issue. Do Something Now is one of the largest faith-based movements to join the issue of human trafficking and slavery issues and Slavery Footprints website allows people to take a survey to see how many slaves they actually support. There is a great deal of momentum growing out of these movements. A growing understanding among lawmakers that is making it hard for released convicts to re-enter the workforce is a recipe for failure. We’re working with Governor Kasich and others to try to lessen the cascade of [restrictions] that limit people’s ability to work because of a felony record. Collective impact—that we can all work together to achieve large-scale social change. We are focused on working with our investee nonprofit partners to achieve their goals and to explore options for collaborating with others in the community to achieve maximum potential. We are really excited about creating public art in addition to murals, such as sculpture and temporary installations for the city. We are also excited to continue to partner with neighborhoods and community stakeholders to create engaging art in shared public spaces. As far as murals go, we are really excited to elevate the arts in downtown Cincinnati and continue to focus on painting new masterpieces in our city core, in addition to neighborhoods. The Cincinnati Zoo and Botanical Gardens has demonstrated enormous agility and resolve to impact the Avondale neighborhood in long-term and sustainable ways. From building community gardens on several lots to leveraging empty city space and working alongside Gabriel’s Place to construct the Hoop House, their commitment to urban green initiatives is refreshing to see and experience firsthand. They are working to build partnerships that help expose urban residents and youth to working farms and fresh food sources, which makes [everyone’s understanding of food systems] a relevant conversation. Common Core Standards. These new standards clearly designate what students should learn at each grade level in four subjects: English-Language Arts, math, science, and social studies. Since their development, 45 states have adopted these standards as a way to eliminate the disparities in learning standards that can exist state to state. We coordinate FIRST Robotics for the region. FIRST, which is a global robotics program for kids and teenagers, stands for “For Inspiration and Recognition of Science and Technology.” There are programs for every level from a junior Lego league to high school robotics competitions. The kids compete internationally and can be awarded patents for their ideas. There was a group of middle school students in Loveland who performed an energy audit on their school. They figured out how to save their district $54,000 a year. The opportunity to link up what we do at the zoo with wild animal conservation through our keeper talks and conservation action steps. For instance, we’ve collected tens of thousands of cell phones for recycling from zoo visitors. That’s tens of thousands of conservation thoughts that the pubic has had—people who, after they left the zoo, took the initiative to come back with their old cell phone and drop it off. For me the most exciting idea behind Zawadi is the multiplier effect that a program of this kind can have. At Zawadi we say that our greatest asset is our students and each and every girl that we empower and equip with the skills necessary to become a leader, has the potential to touch, influence and benefit thousands of young women, who in turn, can touch thousands more. We are already seeing this with Zawadi, with our alumni empowering over 6,000 high school girls this year alone. These programs are critical to Zawadi having the intended impact, as they have such tremendous potential to reach young women when they are at their most vulnerable and once established, can help to break the vicious cycle of poverty that afflicts most young women in economically depressed areas in Africa. I, like many young professionals, care about quality of life and connection to our region’s natural resources. I want to see more connectivity of our current and planned trail systems. The natural beauty of our geography can cause havoc on our street grid, but it provides a backdrop like nowhere else in the Midwest. We have an opportunity to capitalize on the natural beauty of our hills and rivers and streams [Licking River, Mill Creek, Little Miami] to build a trail system that rivals any in the country. There’s some exciting stuff about expanding access to preschool that’s going to be a game-changer, because we know if you can support a child in the first few years of life, you put that child on a trajectory when they enter kindergarten that will be very difficult to interrupt. That doesn’t mean the work is done, but it means they’re on a trajectory to success. I think the most exciting idea in Cincinnati right now is the support for creative local business, artistic and celebratory events, and various new paradigms for living, working, and playing in our city. I hope to come back one day from a trip to India and feel the same bustling street-life that India, as well as so many other American and global cities, have mustered.